See chemistry in action with this DIY High Bouncing Ball Kit! 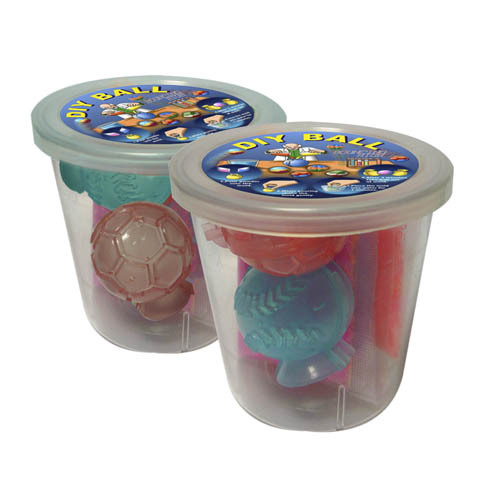 It only takes three minutes to make your own custom multi coloured balls from the magic powder (included) and water! There’s enough to make 3 different shaped balls. So simple but lots of science fun! Explore how the different shaped balls bounce and learn about Newton’s laws of motion. Bouncing balls were originally made of natural rubber, however now bouncing balls can be made of plastics and other polymers or even treated leather. In this experiment the bouncing balls are made from polymers. Polymers are molecules made up of repeating chemical units and are used to make lots of things, including clothing, plastic containers, nonstick cookware and bulletproof vests. In this experiment different polymers are cross-linked to make the strong, elastic bouncing balls. Everyone loves these bouncy DIY science toys! Suitable for ages 5 and upwards. Nanoblock kits consist of hundreds of micro-sized building blocks that let kids build the icons of space with much greater detail. The eco-friendly Dodoland 3D Cardboard Kiwi Model is part of a range of collectable models of NZ creatures to assemble yourself.